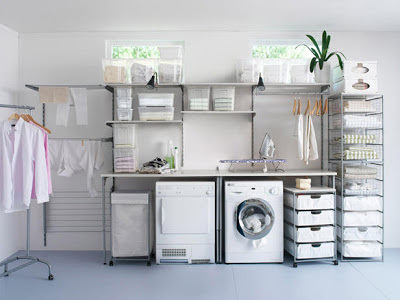 Great Storage & Folding Table idea. 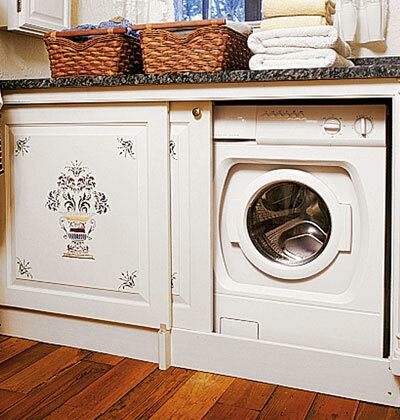 Sliding door neatly hides your washer & dryer. 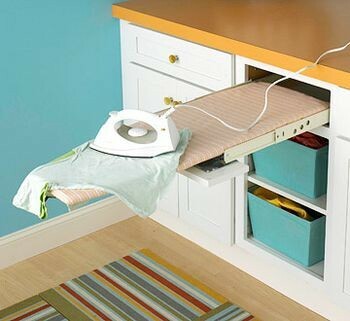 Add a retractable ironing board! 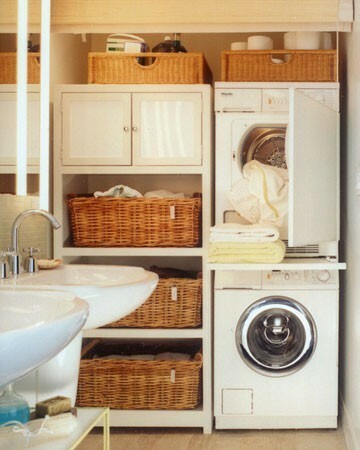 Presort Dirty Clothes in Hampers. 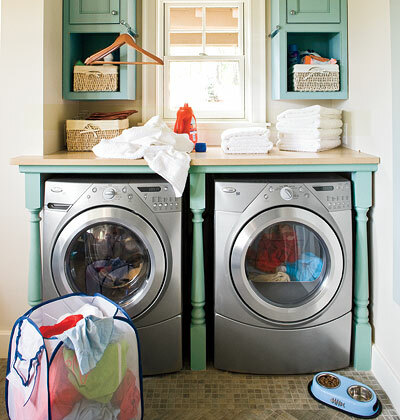 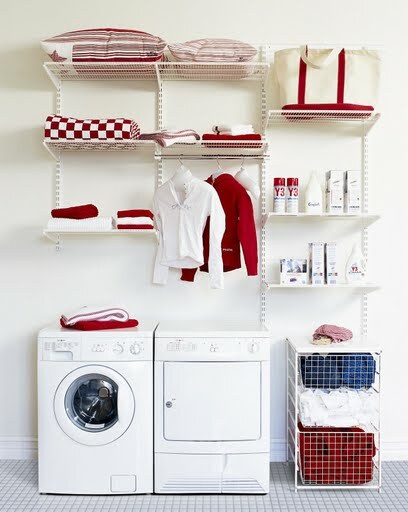 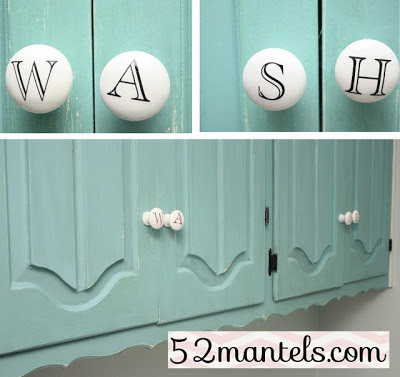 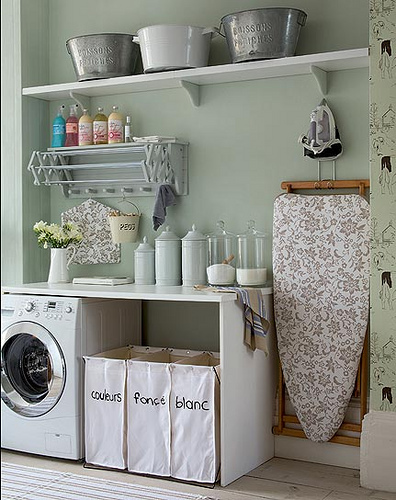 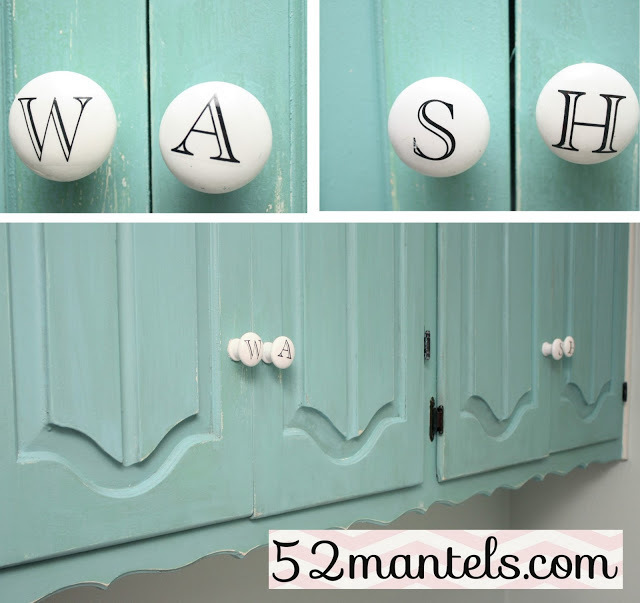 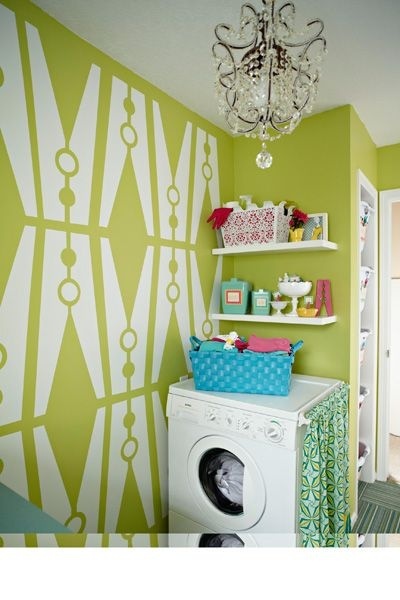 And most of all….be a little stylish with your laundry room. 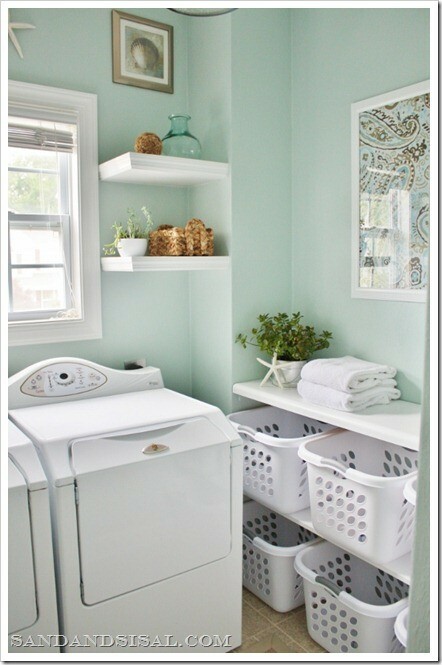 Decorating with cute accessories, hardware, baskets and lighting can make this space more enjoyable to be in!